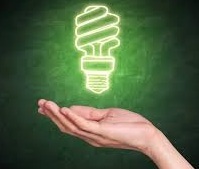 Building energy management system enables the large corporations and buildings to monitor their energy consumptions and further control and manage it, in order to achieve efficiency goals by using advanced energy usage control techniques. The world is facing huge challenge regarding the current energy consumption rates and the rising carbon producing fuel sources which is causing significant harm to the environment. According to US Department of Energy (DOE), commercial building consume almost 20% of the energy produced in Unites States, while both commercial and residential buildings produce about 38% of the greenhouse gas emissions. Additionally, buildings consume over 70% of electricity produced in the U.S. Executives have varied choices o reduce the energy consumption of their buildings. Buildings can be designed and constructed more efficiently to the outset to reduce energy consumption, but these opportunities are limited as existing infrastructure primarily focused on software based solutions to ensure infrastructure runs more efficiently and requires minimal capital investments as compared to the retrofitting projects of existing infrastructure. Mostly Building energy management system market players focus on HVAC (heating, ventilation and air conditioning) equipments to reduce the unnecessary energy consumptions as these equipments are highly energy consuming and sometimes running on full capacity during the period when building is largely unoccupied. For instance, Intel and Daikin Applied have teamed up to introduce solutions for HVAC management. The intelligent HVAC control system utilizes IoT to remotely monitor and control HVAC systems using any mobile device. The global building energy market is majorly driven by the government stringent regulatory pressure to minimize the energy consumption and its wastage in buildings. On the other hand, rising energy prices has significantly fostered the need for efficient management of energy costs in buildings with both residential and commercial facilities. Residential and commercial buildings are responsible for one third green house gas emission across the globe. Space heating and cooling alone account for the major portion of the consumption of energy from fossil fuels. In countries with cold climates, space heating along with warm water supply accounts for 65% end use energy consumption, which is majorly provided with fossil fuels such as coal, natural gas and electricity. Rising concerns to conserve energy and to meet future demand for energy which is expected to rise globally by 50% by 2050 has significantly impelled the growth of building energy management system market. According to United Nations (UN), over 50% of the world population will be living urban areas with an increasing energy demand. The average commercial building waste approximately 30% of energy it consumes, which is the major concerns for the enterprises to efficiently manage the rising cost of energy consumption. Rising consumption of energy and to reduce the high energy cost driven by the wastage of energy are the major factors driving the growth of building energy management system market. The global building energy management system market accounted for USD 2.8 billion in 2016 and expected to reach USD 9.2 billion by the end of forecast period i.e. 2024. Further the market is anticipated to expand at compound annual growth rate of 16.0% over the forecast period i.e. 2016-2024. Geographically, North America and Europe is likely to leading building energy management system demand. North America, accounted for the highest revenue share of more than 30% in global building energy management system market owing to large scale adoption by the U.S government of BEMS in government institutes and buildings. For instance, State of Massachusetts invested in an EnerNOC building energy management system in 2010 to reduce energy cost at 470 state buildings, with annual savings of USD 10 million or 10% to 15% reduction in energy usage. North America region is closely followed by Europe with 28% revenue share in global market. BEMS market growth in Europe is particularly high in countries such as Germany, France and U.K among other European countries owing to rising smart grid services and demand for high energy efficient products. Asia Pacific region showcase huge growth potential growth owing to significant economic growth and a gradual shift toward service based economies.